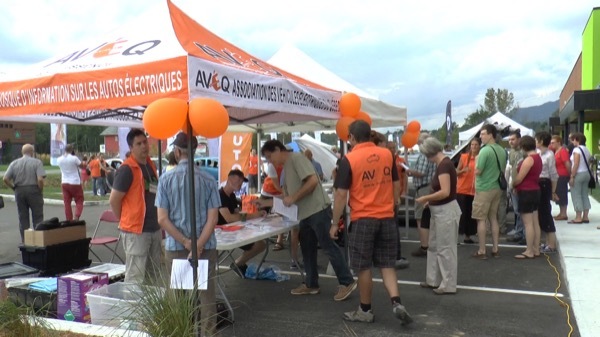 Our event inaugurated 5 Level-2 public chargers and one DCQC (CHAdeMO+CCS-Combo) at a local health supercentre (natural food supermarket, medical clinic, spa, etc...). We had 2 conferences including "Myths and realities of electric cars". Good coverage of local newspapers and national TV stations.